ICSE Syllabus For Class 7 8 9 10 - 2015 : 1. Indian Certificate of Secondary Education(ICSE) is an examination conducted by the Council for the Indian School Certificate Examinations. Candidates who will give exam in academic year 2015 they can get their syllabus here. Candidates can be download ICSE Syllabus for Class 8, Class 9 and Class 10th see below for getting details about ICSE syllabus. 2. 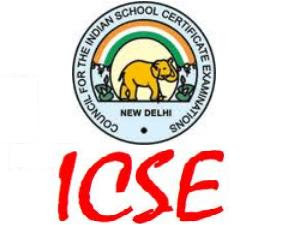 ICSE Syllabus English, Second Language-Indian Language, Second Indian Language - Sanskrit, Modern Foreign Languages Syllabus, French Syllabus, German, Spanish, History & Civics (HCG Paper 1), Geography (HCG Paper 2), Mathematics, Physics (Science Paper 1), Chemistry (Science Paper 2), Biology (Science Paper 3), Economics, Commercial Studies, Technical Drawing, Modern Foreign Language - Grp 2, Classical Language, Computer Science, Environmental Science, Agricultural Science, Computer Applications, Economic Applications, Commercial Applications, Art, Performing Arts, Home Science, Cookery, Fashion Designing, Physical Education, Yoga, Technical Drawing Applications, Environmental Applications, Modern Foreign Language - Grp 3, SUPW and Community Service, Appendix I - List of Prescribed Books - Languages candidates see below link. 5. Candidates if you want to received all latest updates about ICSE 2014-2015 via Facebook, then join us on Facebook page. Candidates Touch with us for more updates or book mark this page for future reference.